"I wouldn't know where to start." 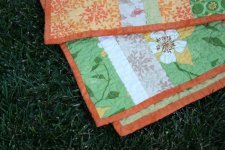 "I’ve recently talked to various people who want to try quilting but are feeling slightly overwhelmed about where to start, or how to even choose fabric. So this project today is going to help you get over that fear. 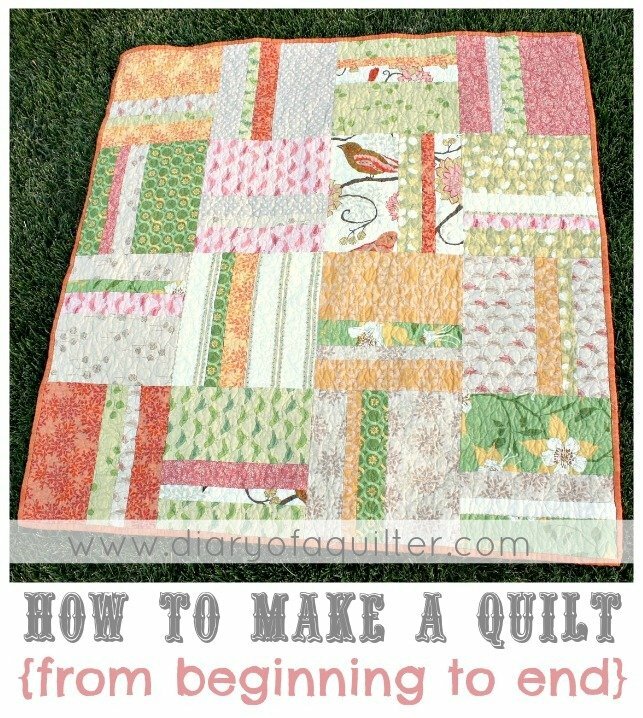 "This is an easy-peasy beginner quilt. I made only 16 blocks for a baby quilt. It would be super easy to just make more blocks and make it into a throw or bed-size quilt. I made this quilt with cute, big-print fabrics in mind. In the past 5 or so years really big, graphic prints have become so popular and readily available. 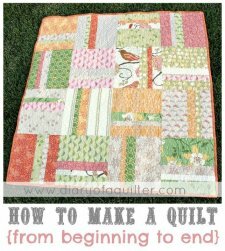 Using those kind of prints, you can make a simple quilt and really let the fabric do all the design work."